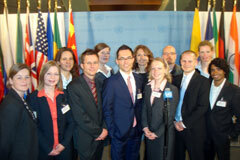 Eleven U.S. journalists took part in the 2011 Germany Fall Program. The participants stayed for one week in Berlin, and then traveled on to Dresden, Prague, and finally Brussels in their second week. Some of them extended their stay in Germany for an additional week for research and reporting purposes. 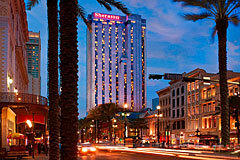 Record attendance at 2011 U.S. meeting of RIAS Fellows in New Orleans. More than 100 guests and fellows attended this years U.S. meeting of RIAS Fellows in New Orleans on September 24 and 25, coinciding with the 2011 RTDNA/SPJ annual convention from September 25 to 28, 2011. 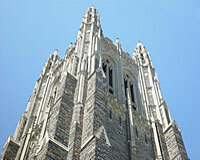 Two German journalists sponsored by the RIAS BERLIN COMMISSION participated in the Duke University Media Fellowship in fall 2011. They also attended the US RIAS Fellow Meeting on September 24/25, 2011 in New Orleans and took part of the 2011 RTDNA/SPJ convention in New Orleans. 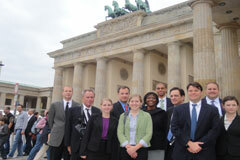 Five RIAS Fellows attended the Round Table USA Conference in Washington, DC. 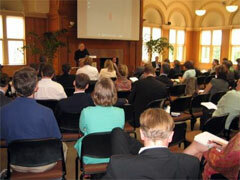 This year’s theme was “Societies in transition — facing the facts on political participation”. 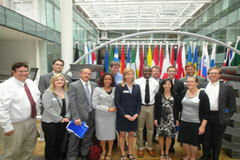 Fourteen U.S. journalists participated in the 2-week Germany program with Berlin as starting point the group also visited Leipzig, Cologne and finished the tour at the EU and NATO in Brussels. 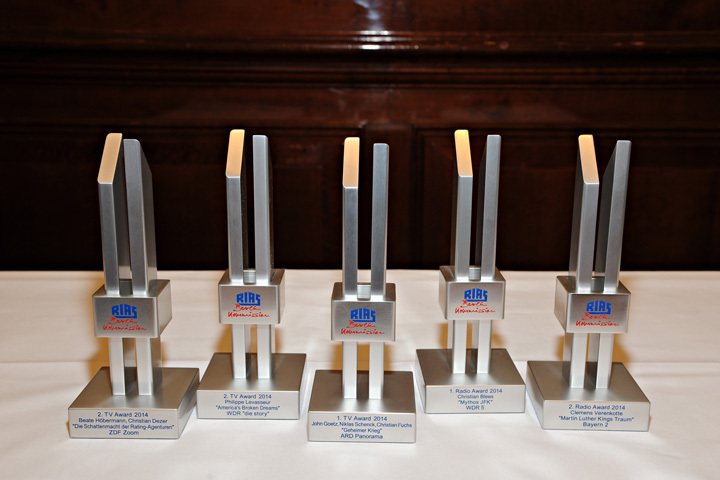 ARD’s “Die Lange Obama Nacht — Halbzeit für den Präsidenten” (NDR/WDR) wins 2011 RIAS TV award. 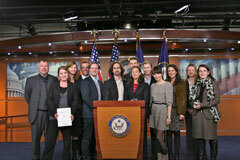 Twelve German journalists participated in the U.S. Spring Program 2011 of the RIAS BERLIN COMMISSION. First week in Washington D.C. for briefings with politicians as well as business and media representatives; in the second week they visited U.S. radio and TV stations for an individual internship; last program week in New York with a visit to United Nations and additional political talks.